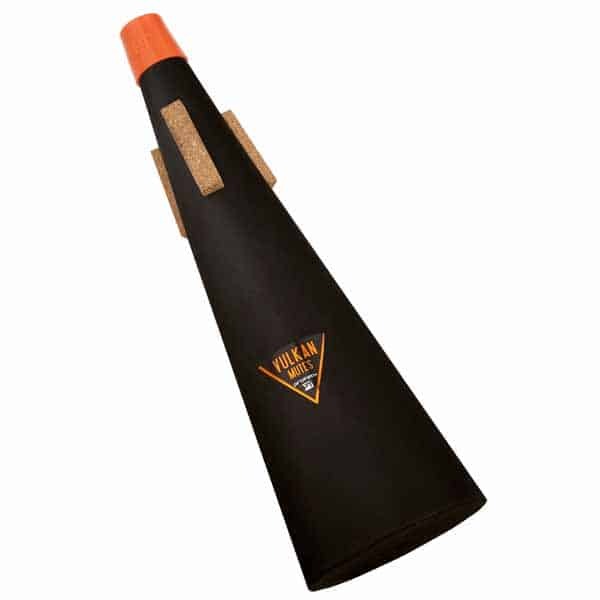 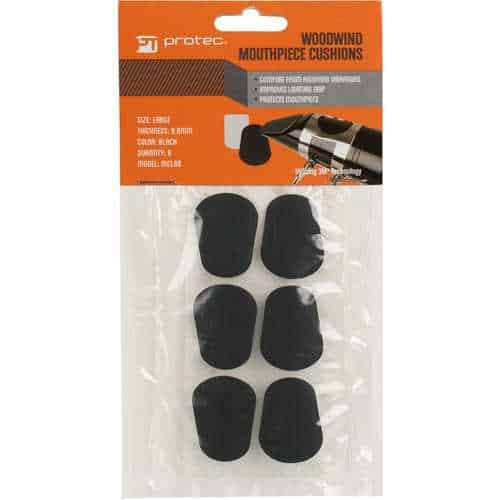 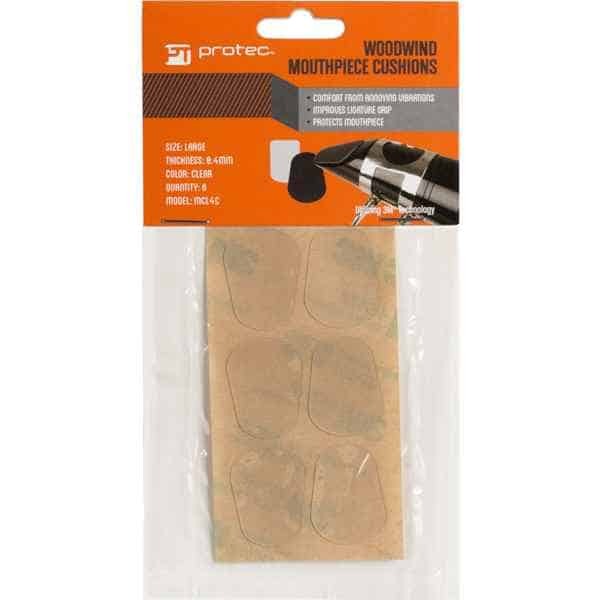 Protec’s Woodwind Mouthpiece Cushions offer a universal fit and provide mouthpiece protection and comfort from annoying vibrations, while also improving ligature grip. 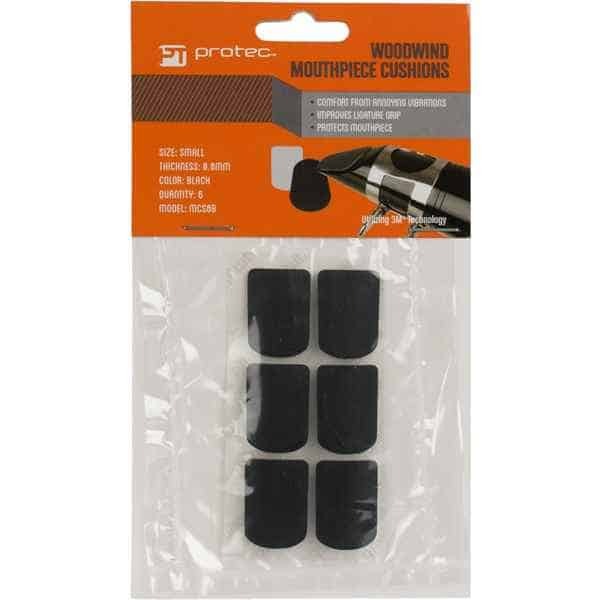 Includes package of 6 mouthpiece cushions. 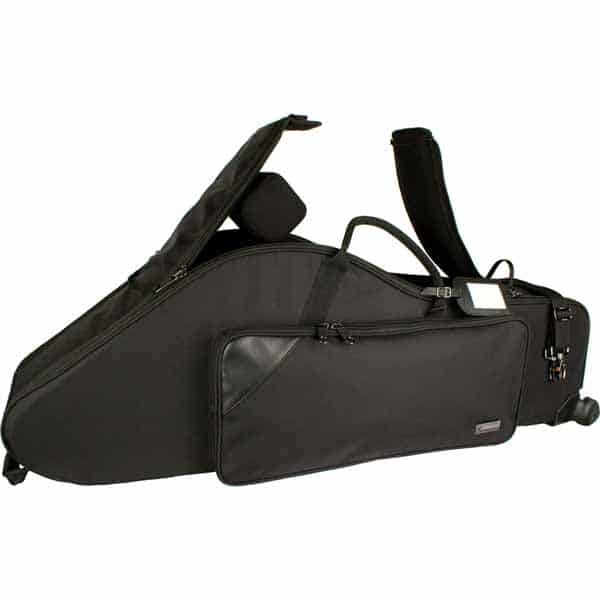 Large cushions accommodate most Bb clarinets and larger. 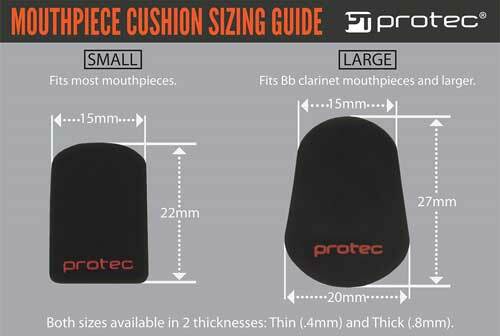 Small cushions accommodate most soprano clarinets and larger. 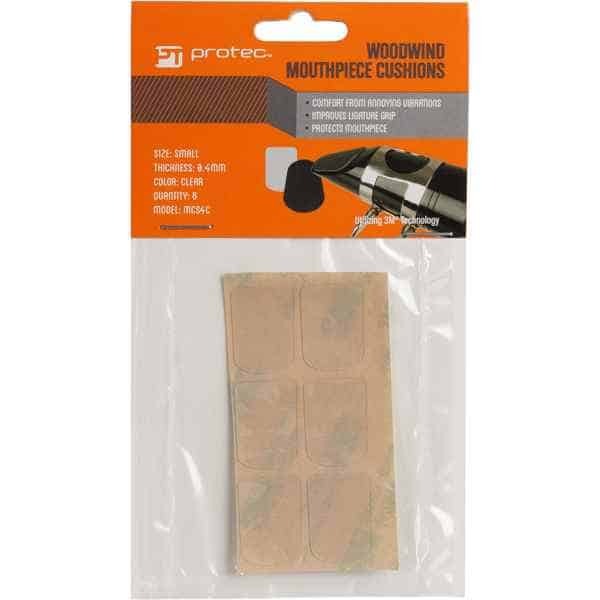 Easy to use: simply peel and stick onto mouthpiece baffle.